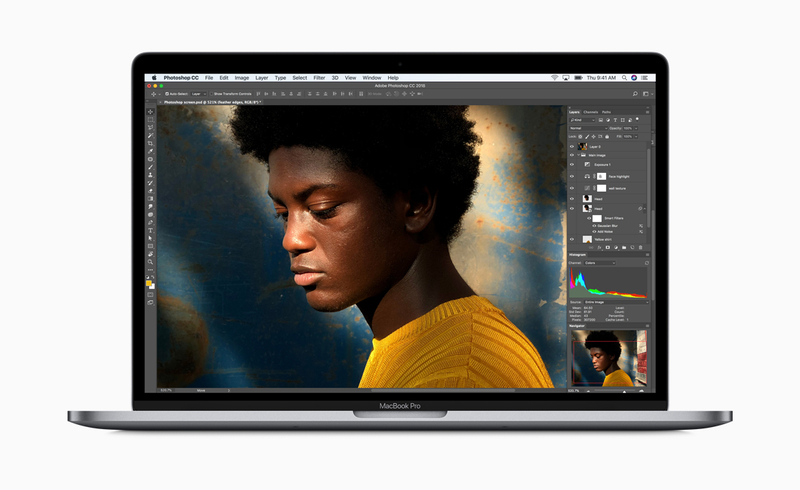 Apple has updated the specs on the MacBook Pro line, addressing an issue raised a few days ago by a commentator claiming Apple is screwing its customers. The 8th Gen CPU&apos;s for laptops have been available since last fall, 9 months ago, and gave a huge performance boost. But, Apple was taking its own sweet time updating the laptops to use the 8th Gen CPU&apos;s, and in the meantime Apple&apos;s customers were paying the premium price for hardware that&apos;s inferior to laptops from other makers. 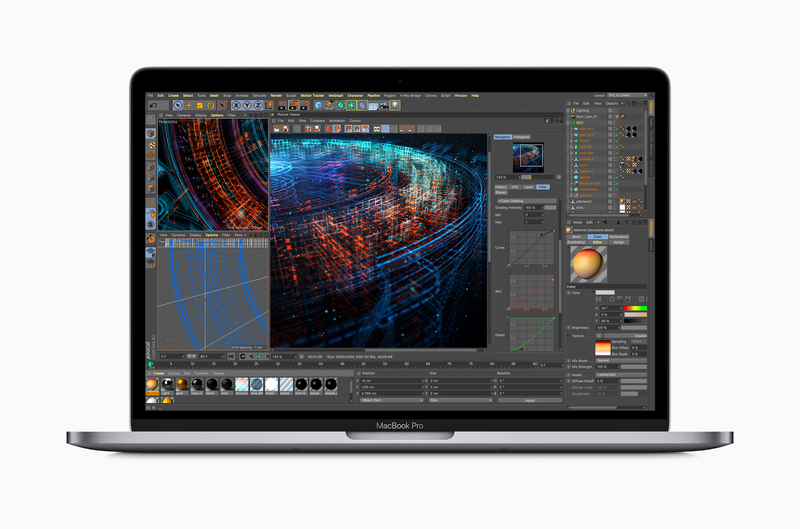 Apple has fixed that today with new laptops incorporating those 8th Gen CPU&apos;s.
The top level change is the switch to 8th generation Intel Core processors. The 15-inch model will have a 6-core processor, and the 13-inch model will have a quad-core processor. Apple is claiming large performance gains -- "ideal for manipulating large data sets, performing complex simulations, creating multi-track audio projects or doing advanced image processing or film editing." There&apos;s a lot of YouTubers like the guy who posted the video I summarized a few days ago who are rendering large quantities of video every day. For them, video rendering, and hence computing performance, is of extreme high importance. Most of the Hackintosh videos I&apos;ve watched are by folks who are producing video, and need a high performance computer for video rendering, and Apple&apos;s Mac Pro is not up to snuff in that task apparently. Therefore it is interesting to see Apple especially calling out audio and video production as a key task. Most of the complaints folks about Apple&apos;s hardware are from folks whose primary task is audio and video production. 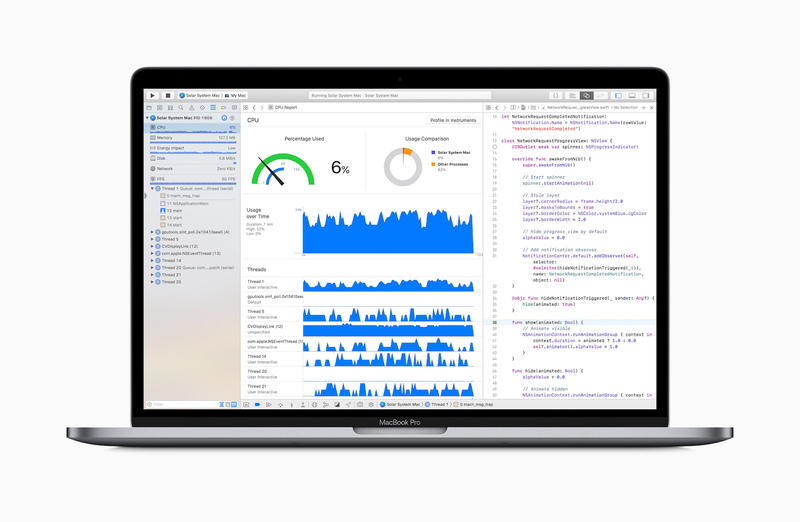 Speaking for myself, that Apple then calls out software developers -- "Already the most popular notebook for developers around the world" -- helps me feel secure with Apple. Maybe. The combination of a current generation 8th generation CPU, with 32GB of memory, and up to 4TB of SSD storage, sounds like an awesome machine. Especially as the memory system is updating from DDR3 to DDR4. Another update of interest is this T2 CPU which Apple says will be used for the "Hey Siri" task. I recently turned Siri off on mhy iPhone and iPad because I did not want Siri to get accidentally triggered. I don&apos;t grok why one would want to ask questions of Apple&apos;s AI servers through Siri - what will Apple do with those questions? If I start asking Siri about bomb making materials (to write an article for TechSparx) will I suddenly get a visit from the FBI because Apple turns me in? But, since Apple added this feature to the MacBook Pro&apos;s it indicates that Apple believes lots of people will want this feature, and there may well be lots who do. 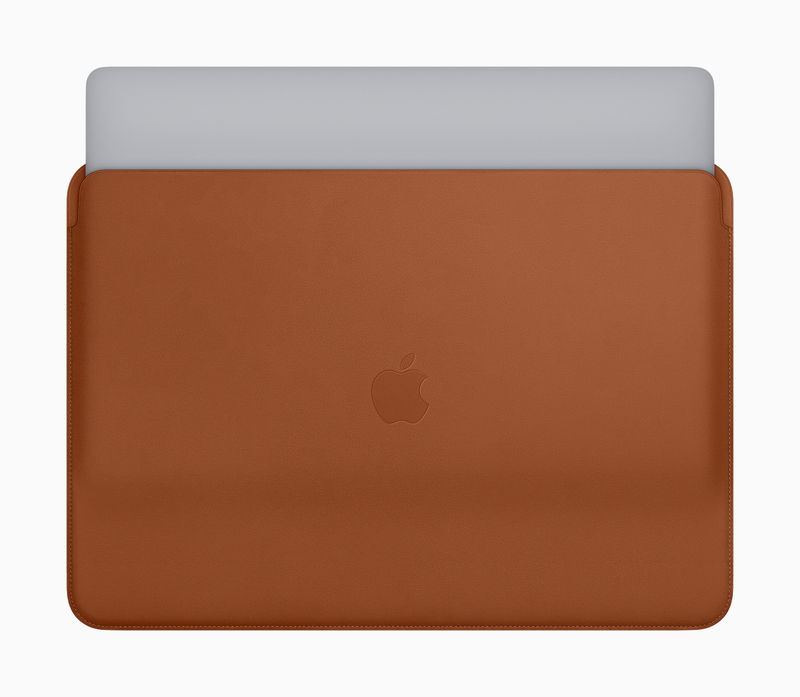 Adding leather sleeves to the MacBook Pro lineup is interesting -- as if the computer side of Apple is learning something from the Apple Watch side of the company. Apple sells a whole lot of Watch accessories, and surely makes a ton of money on those accessories. Sleeves are an interesting laptop accessory. Long ago I had a Titanium 15" Power Book, and I added two very interesting 3rd party accessories. One was a sleeve not made of leather, but of a material somewhat like leather, and which was sufficient protection to carry the Power Book on its own. The other accessory was a handle that screwed into the attachment point for the display. That handle swiveled so that the laptop could also work as a stand. For transport, the sleeve plus that handle made for a very convenient way to carry the Power Book from place to place on its own with no other protection.